Here is a step-by-step guide for making an IKEA delivery Minsk from Moscow’s Tepliy Stan shopping center. You can make an order at IKEA delivery Minsk service by any suitable way. 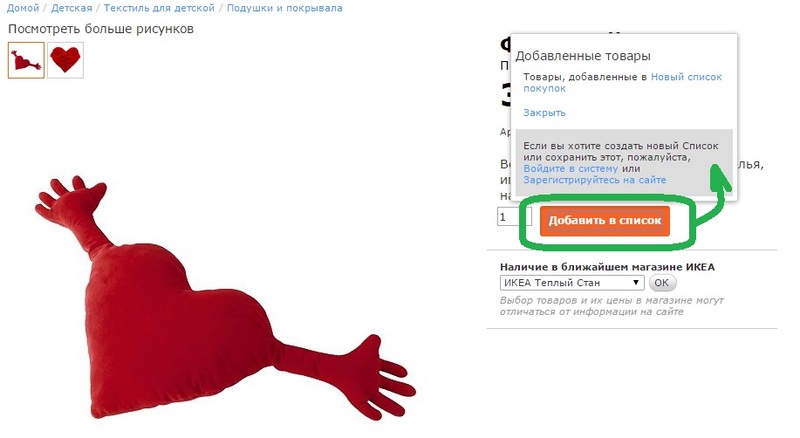 The most comfortable and safest way for making an order is making a shopping list at ikea.ru site. For your convenience, you can send an email to ikearu.by@gmail.com with IKEA goods’ links and quantity, but please do not forget to leave your phone number for call back. 1. 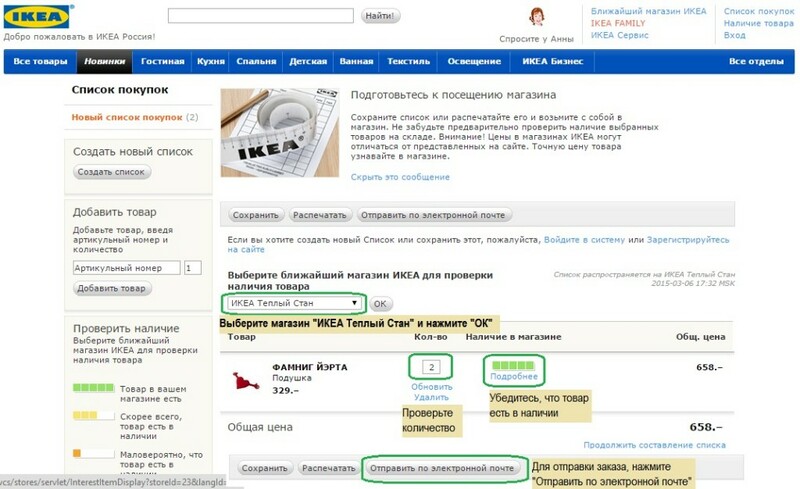 Choose required goods on www.ikea.ru site and make a shopping list (product page -> «добавить в список»/Add to list/), you can choose any number of goods while making the shopping list. 3. Choose shop «IKEA Теплый стан» and press «OK». In shopping list table you will see values «наличие в магазине»/Availability in stock/. Please ensure that all goods are available (grey scale means that goods are unavailable). If you have changed the quantity of ordered goods, please don’t forget to press «обновить»/update/ in the corresponding string. Under the list press button «Отправить по электронной почте» /send by email/. 4. 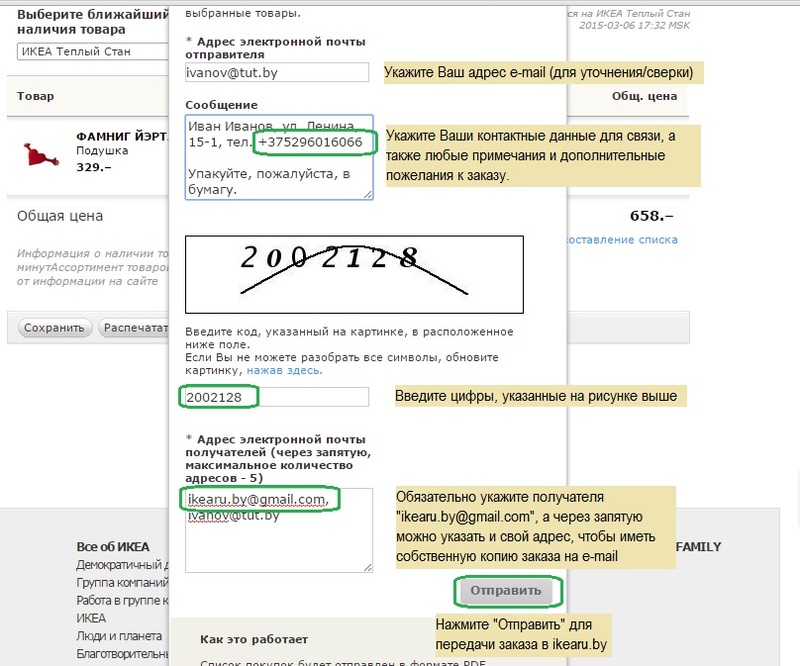 In new window input: «Адрес электронной почты отправителя»/sender’s e-mail/ — your e-mail, «Сообщение» /message/ — name, phone number, delivery address, notes (if required), numbers from CAPTCHA, «Адрес электронной почты получателей» /recipients’ addresses/ — ikearu.by@gmail.com (you can also add your e-mail, separated by comma and receive a copy for you), then press «отправить» /Send/ button.